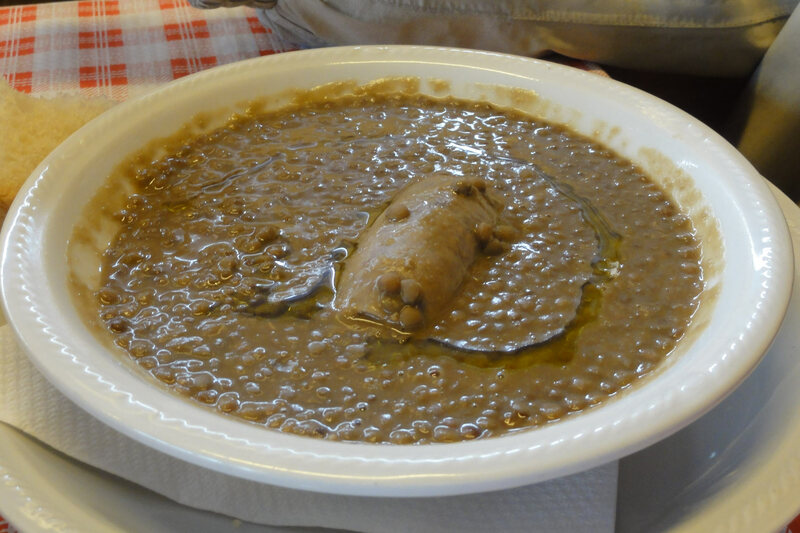 The Umbrian cuisine is characterized by the simplicity and popular traditions with a distinctly rural vocation. The typical dishes are definitely meat and the products of the earth. 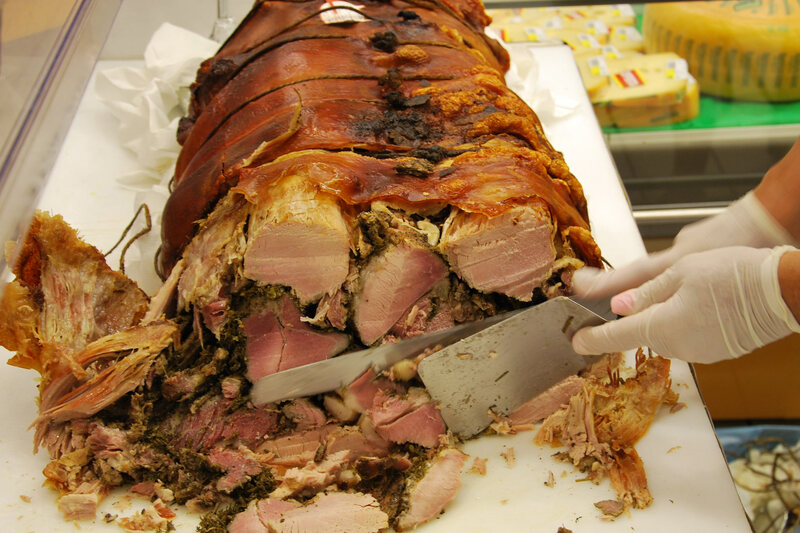 In Umbrian inevitable are the dishes a bases of pork and its derivatives: tasty sausages, delicious hams, succulent meats and the typical porchetta. Very frequent even meats as chickens, ducks, geese, pigeons, goats, lambs, both prepared roast or stew. Very sophisticated and also delicious is the game meat: wild boars, deer, hares and pheasants that live in the forests and countryside of Umbria. The Castelluccio lentils are the representative product of the country par excel-lence. The lentil is an annual plant of the legume family that blooms between May and August. The lentils are today a sought-after product for the unmistakable flavor, for the very small size, resistance to pests and cultivation exclusively biological . It is sown when the snowpack is completely dissolved. They are collected towards the end of July. 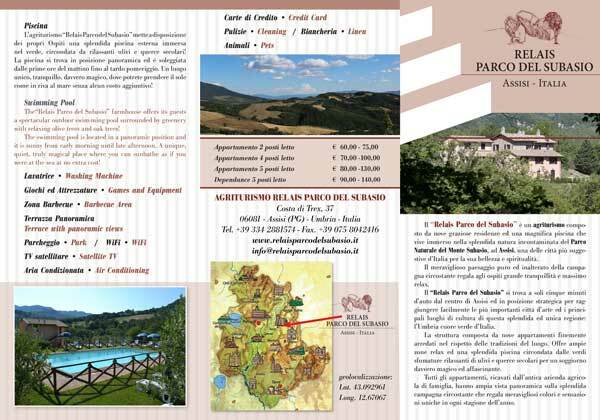 The Umbria with its gentle hills formed mainly by woods promotes the presence of prized truffles. 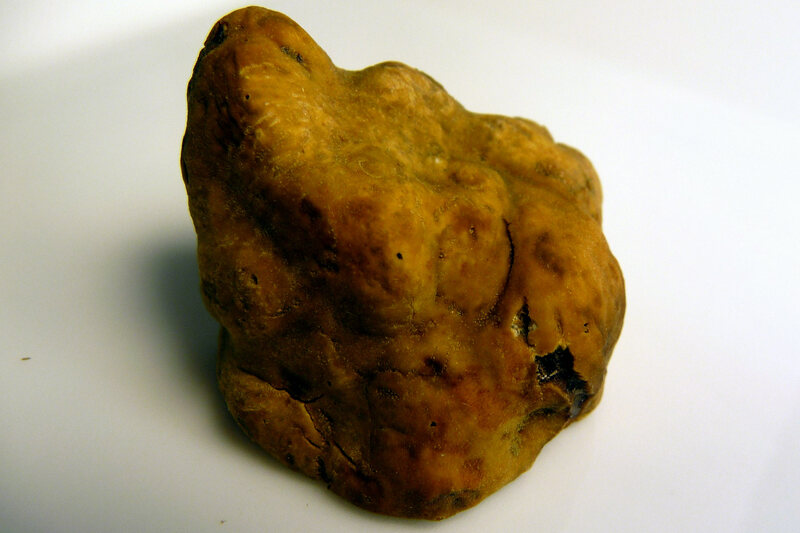 It passes by the excellent aromas of white truffles to the deli-cious fragrance of truffles blacks than average season. 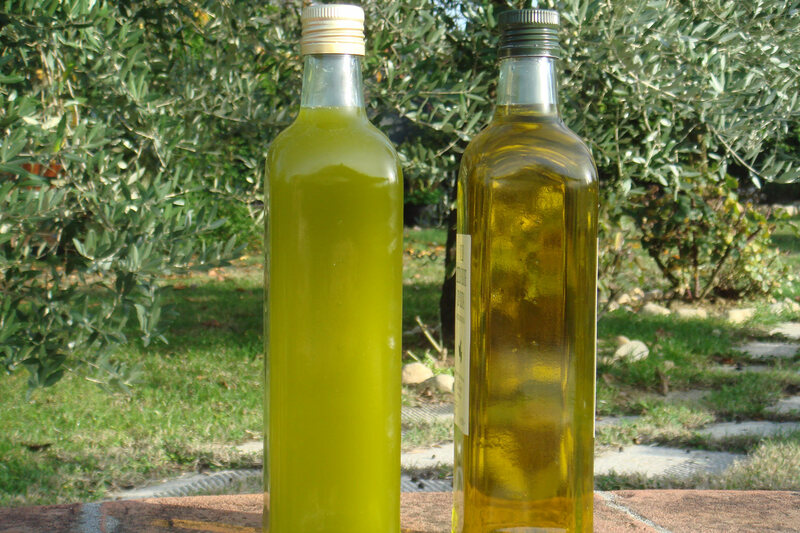 Olive oil is one of the typical Umbrian products par excellence. In the wonderful rolling hills, among the many shades of green, stands the silver of the olive trees, lovingly preserved from generation to generation. From here born pro-duce one of the best Italian extra virgin olive oils. The Umbria boasts also ancient traditions in the cheeses. 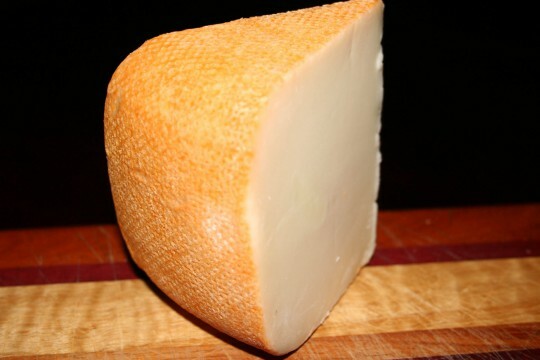 Thanks to art and patience of the dairymen of Umbria you can taste the true flavor of the cheese matured with long stay in the pit that retains the softness of the cheese table. Unusual and unsurpassable served with the acacia honey. Typical of the region are the mixed cheeses and the salted ricotta. The growing of onions in Cannara has ancient origins and is still completely manual and linked to the traditions and the country culture. 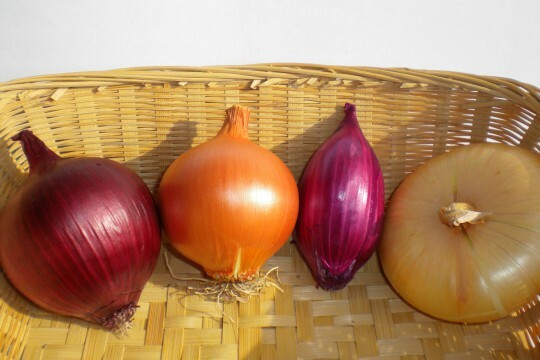 The Onion is recognized as one of the most important typical products of the territory. There are many varieties of onion different united by an innate sweetness and softness. Many delicious recipes (sweet and savory) can be tasted with this product. The Onion is star of a big trade show that is held annually the first week of September. The red potato is another excellence of Umbria. It is grown in the highlands of Colfiorito and has become the symbol of the economy of this small country. 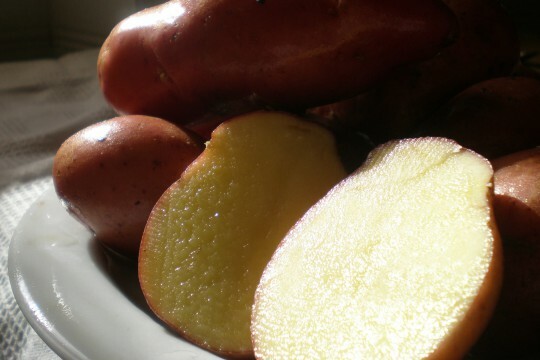 It is possible to appreciate the taste of red potato in different recipes and prep-arations. Umbria is the only region of peninsular not be washed by the sea, it has a terri-tory that offers excellent grape growing. The hilly landscape is a constant fea-ture throughout the region. Wines produced in Umbria are almost equally both red and white, followed by sweet wines produced with grapes left to dry on racks, whose best representative is the Vin Santo. Among the white grapes it is certainly Grechetto to play the primary role, an autochthonous grape of Umbria spread throughout the region and with which are produced interesting white. 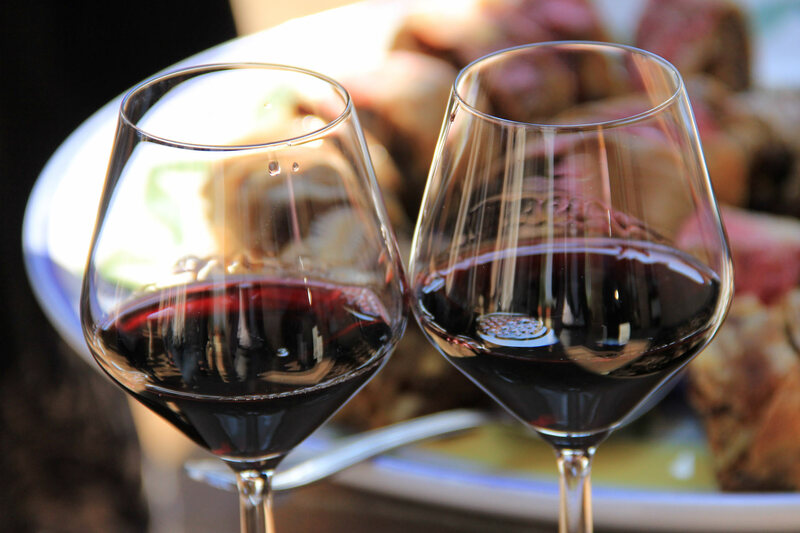 The most important red grape is Sagrantino. Strada del Sagrantino (DOCG): from Montefalco by Gualdo Cattaneo, Bevagna, Giano dell’Umbria and Castel Ritaldi. Strada dei vini del Cantico: from Todi (Sangiovese dei Colli Martani and Grechetto) by Marsciano (Cabernet, Merlot and Trebbiano) in Perugia and Torgiano (DOCG), Bet-tona, Cannara and Spello. Strada del vino Etrusco-Romano: from Orvieto (Malvasia, Orvieto white and Orvieto red) by Colli Amerini, Amelia, S. Venanzio, Fabbro and Allerona. 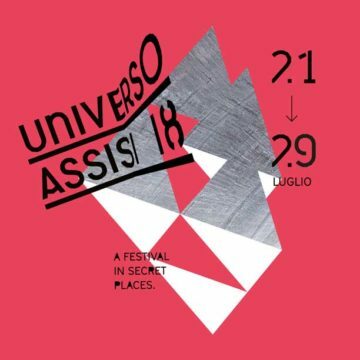 Strada del vino del Trasimeno: Parco del Trasimeno passing by Tuoro, Passignano, Magione, Corciano, Città della Pieve, Panigale, Castiglione del Lago, Piegaro, Umbertide and Perugia (Uve Cabernet, Pinot, Merlot, Chardonnay, Riesling italico and Ciliegiolo).